Just days after the one year anniversary of the release of the well-received Red Faction: Guerilla, THQ has announced its sequel, Red Faction: Armageddon. Taking place fifty years after the events of Guerilla, the game casts players in the role of Darius Mason, grandson of the previous game’s protagonist, who lives in an underground network of mines after the surface of Mars has been rendered unlivable. The game will reemploy the GeoMod 2.0 technology that allowed an incredibly destructible environment built on a unique physics engine. Using the Nano Force weapon, players can unleash concussive blasts and bone-crushing rhino charges onto their enemies. Gamers may remember that the first game of the series, Red Faction, also took place in an underground mine setting. Having the series return to these underground roots, literally, could prove to be a fun and nostalgic choice. 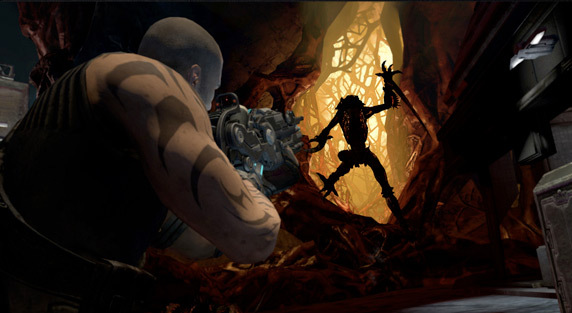 Red Faction: Armageddon is expected to ship for Xbox 360, Playstation 3 and Windows PCs in March 2011.